It is always interesting when a developer whose games I love decides to try something different. Falcom is known for the Ys, and Trails, but they also have some amazing games that aren’t in those franchises. Xanadu Next is something I enjoyed a lot while Gurumin from them turned out disappointing. 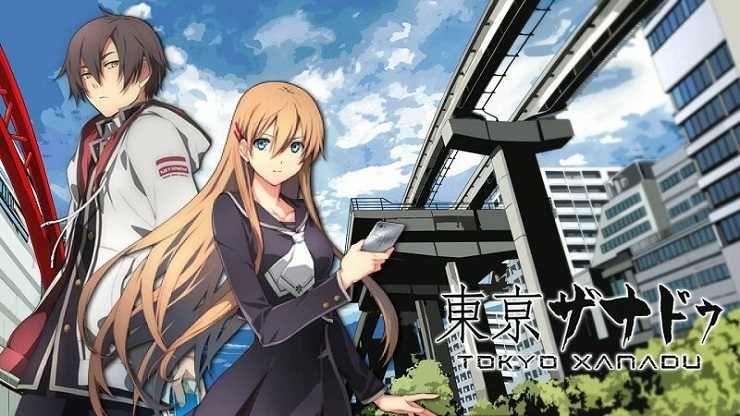 Today, Aksys Games and Falcom have released Tokyo Xanadu for PlayStation Vita and it is a very interesting game, and one that has cemented itself near the top of my favourite games of this year. 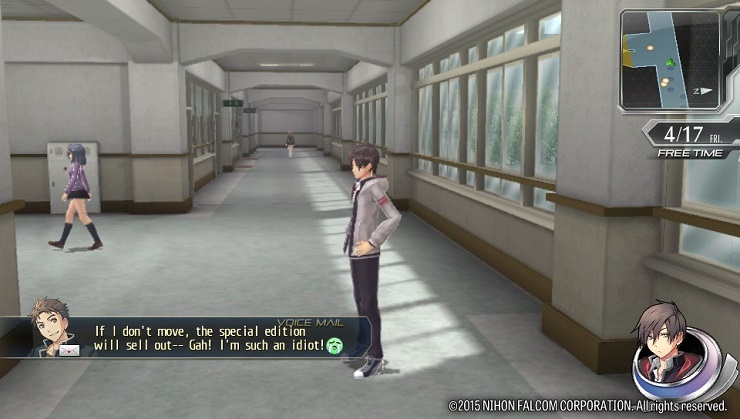 Unlike everything people are used to with Falcom, Tokyo Xanadu has a modern day setting. There are high school students, dungeons, relationship building, mini games, and more here, and I know what you’re thinking. There’s definitely an influence felt from Atlus’ Persona 3 and Persona 4. But there’s also a generous helping of Falcom’s storytelling in general and the combination of elements from newer Persona games with the Falcom touch has resulted in a wonderful experience. Outside of being an action RPG, there’s nothing that connects Tokyo Xanadu to Falcom’s earlier Xanadu games. Instead of being set with a fantasy backdrop, things are more modern here. In fact the fictional modern day Tokyo has a nice recreation of key parts of Tachikawa City (where Falcom’s head office is), and exploring the locations within has been a lot of fun. You play as Kou Tokisaka who is a 17 year old high school student with tons of part time jobs. On the way home from work one day, he is caught in a certain incident involving a classmate and ends up discovering an alternate world (dungeon). His classmate, Hiiragi, manages to make a weapon appear out of thin air. Kou wakes up the next day with almost no recollection of what happened the previous night. This is where his adventure begins and one that will reveal and make him remember a very important childhood incident that turns out to be part of a major conspiracy. Just like in Persona, there are two main aspects to the gameplay loop here and there’s even an in game calendar system. You have free time that allows for mini games like Skateboarding, Blade Card game, or even a Whack-a-mole like game. You can also use your free time to do various quests and befriend more people. There are even class segments where you have to answer questions that raise your wisdom. The best part about free time is getting to experience Trails-like story telling before deciding to move into a dungeon. Dungeons here are called Eclipses and these exist as a parallel to reality. If they aren’t dealt with quickly, the monsters or Greed penetrate into the real world. The end bosses of Eclipses are called Elder Greeds and defeating them will let you get back to reality. I wish the layouts were more interesting. Most of them feel the same and the only real “puzzles” are activating something to unlock something else. Thankfully the combat feels great. It isn’t as fast as Ys but more of a mix of Ys with Trails’ engine. Unlike the sub par performance in Cold Steel, Falcom definitely managed to squeeze out some good performance on the Vita here. Even the X Drive special moves look and run great. There are elemental affinities, an Orbment like system for your weapon, and more at play here. You can even switch between yourself and your partner on the fly during combat and it always helps making sure you can tackle most elemental weaknesses to finish off battles quickly and earn higher ranks for stages. Action game aficionados might find the normal mode a tad too easy so I’d recommend playing at a higher difficulty. I’ve mentioned the Cold Steel engine before, but even a lot the user interfaces during quests and dialogue are exactly how they are in those games. This isn’t a bad thing, but I was hoping to see something new like the NiAR system that is an in game PDA and your main menu. Character models and the visual fidelity is almost the same as well but the major difference is performance. While Cold Steel didn’t suffer too much from the frame drops due to the combat style in that game, Tokyo Xanadu benefits quite a bit. Combat feels great, movement and exploration of both dungeons and the city is smooth. Things still look like a PS2 era game which is par for the course for a Falcom handheld release. I wish it had some polish put into icons and reflections though. Some of the icons that indicate mood like anger or confusion are too low resolution and the running and walking animations in the cutscenes still looks awkward. Music is one of the most important parts of a game for me as you know, and it is fantastic being able to experience a new Falcom Sound Team release thanks to an all new game. Tokyo Xanadu’s soundtrack while sounding a bit too much like Meguro’s style in some of the high school segments, manages to come into its own just like the rest of the game. There’s definitely an influence, but it feels more of a tribute than anything. One downside for many in the audio side of things is the lack of an English dub. XSEED did a fantastic job with the voice acting in both Cold Steel games and there’s only the original Japanese Voice acting here. 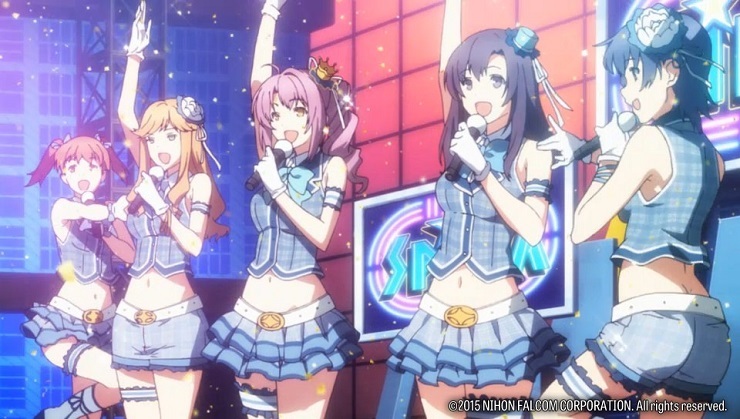 It is fantastic with a colourful cast of voice actors, but I would’ve definitely preferred an English dub just because that’s how I’ve experienced Falcom games before. While it does feel a bit weird playing a modern Falcom game with Japanese voice acting, Aksys has done a great job with this release. 2017 has seen some great and not so great releases on the Vita. Tokyo Xanadu has earned a spot in the former category and I look forward to replaying this when the PlayStation 4 version releases later in the year.